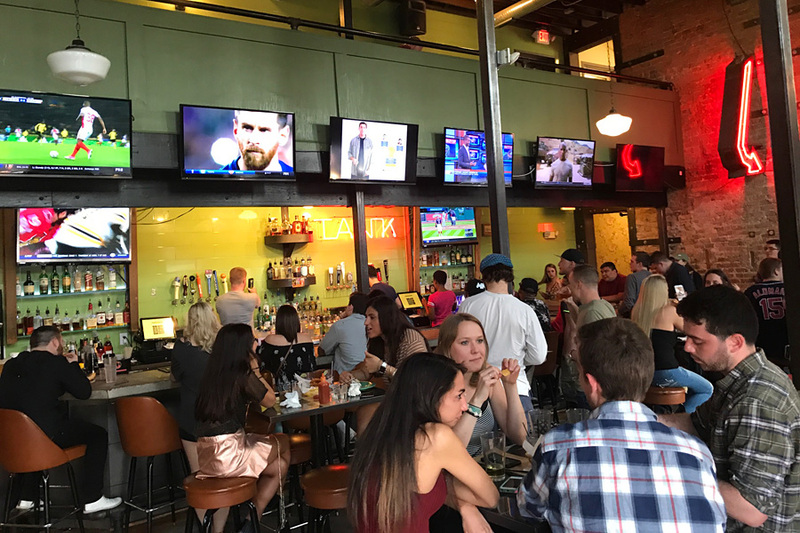 April 19, 2017- Crowd enjoying a warm April afternoon at Ethyl and Tank, 19 E. 13th Ave. Located in a remodeled 1910s rowhouse. 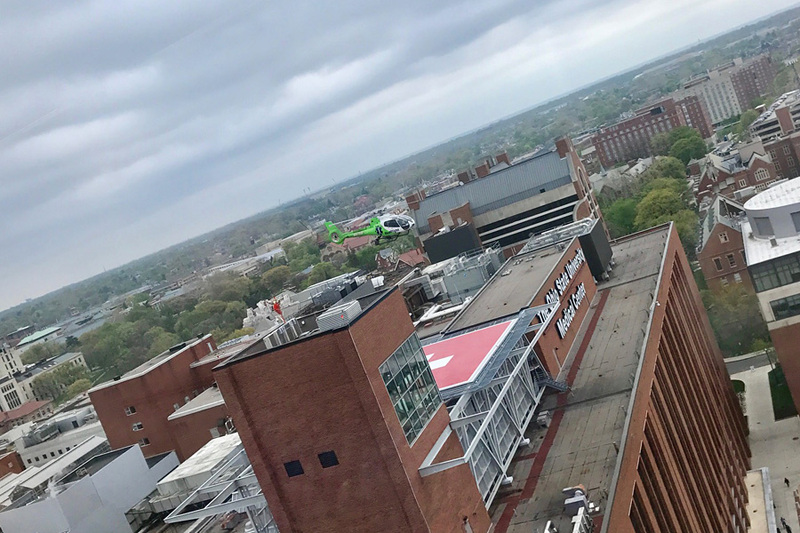 Air ambulance taking off from roof of Rhodes Hall at Ohio State University Wexner Medical Center. University added helicopter ambulance service back in 1987. 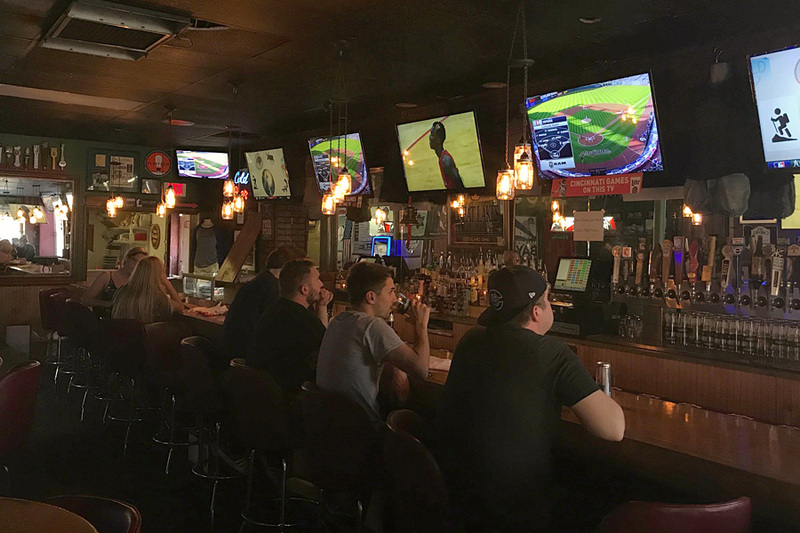 April 26, 2017- Fans catching the game on a Wednesday afternoon at Oldfield's, corner of N. 4th St. and Chittenden. 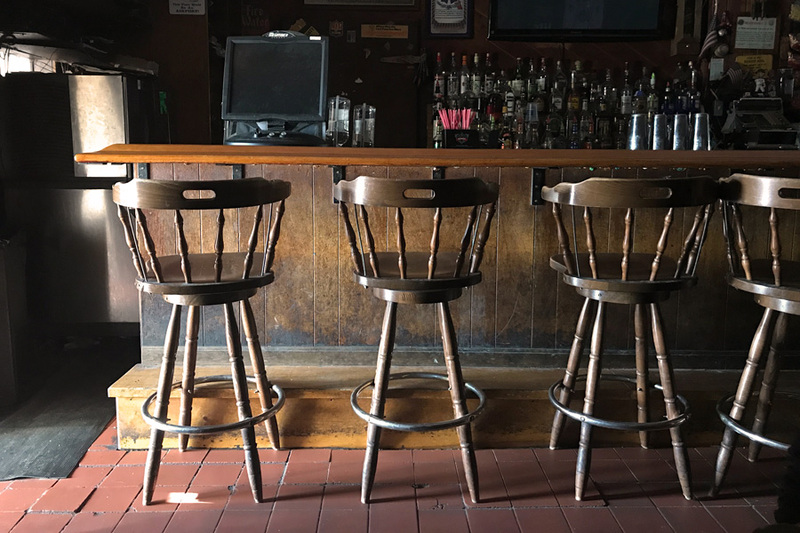 A neighborhood drinking spot since 1951. 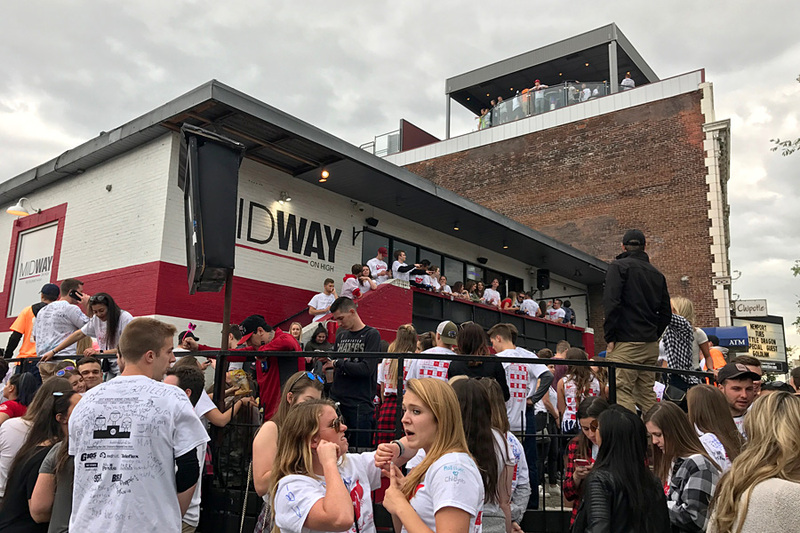 May 2, 2017- The Class of 2017 throngs High St. bars for Senior Crawl. Congratulations grads! Thanks for being part of our story. You may leave the neighborhood but the neighborhood will never leave you. 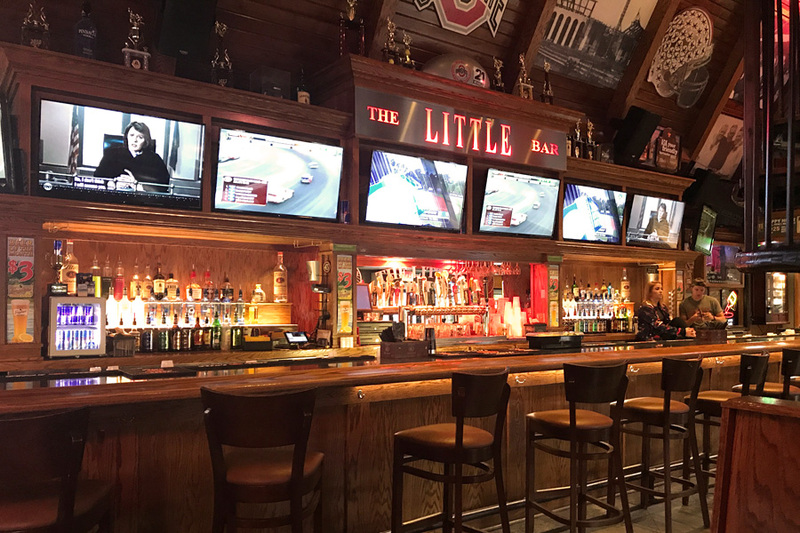 May 11, 2017- Little Bar, 2195 N. High St., on a Thursday night just after the end of Spring Semester. This place is usually packed to the rafters. Gets kinda quiet around here in the summer. 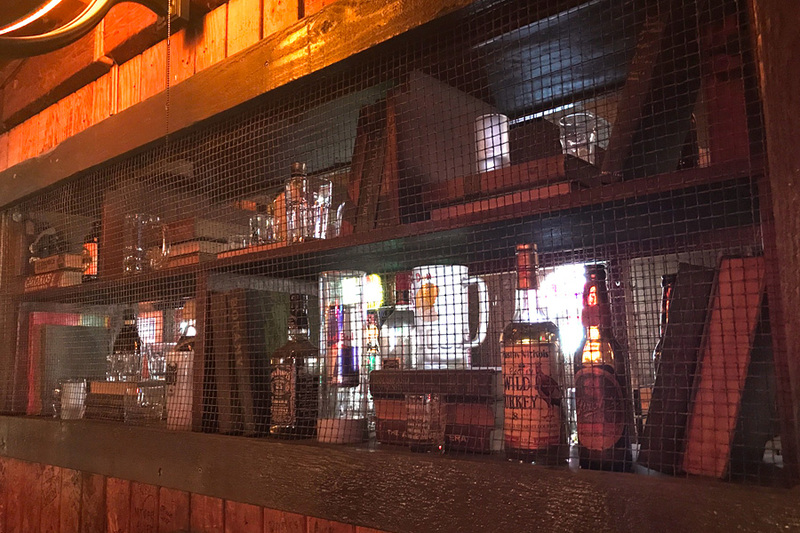 May 16, 2017- Only books in The Library Bar, 2169 N. High St. are the old textbooks behind chicken wire in this display. The Library has been around for over half a century. Back in 1964, it opened at Woodruff and High but moved due construction of the North Dorms. It has been at its current location since 1972. 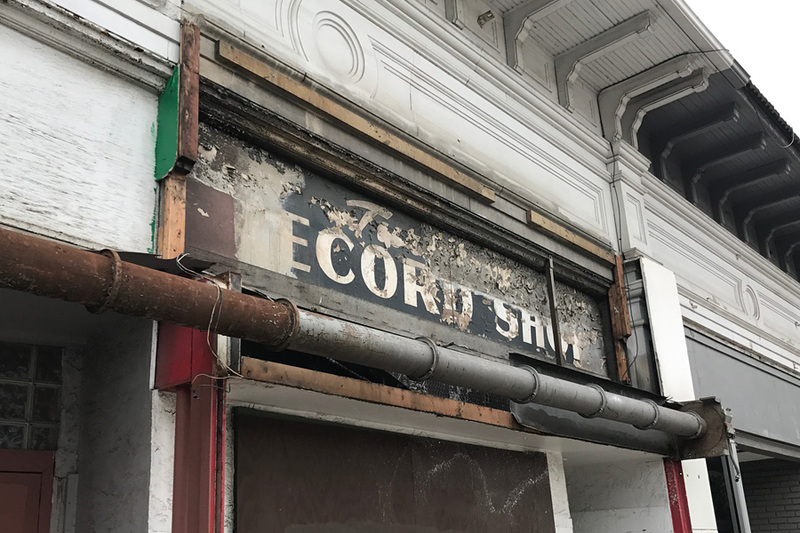 May 20, 2017- Recent pre-demolition work at 1812 N. High revealed this old sign for the Turntable Record Shop that occupied this spot 1951-66. Hidden for over 50 years. Record store was started in 1951 by two Ohio State grads who bemoaned the lack of a store selling popular music close to campus. 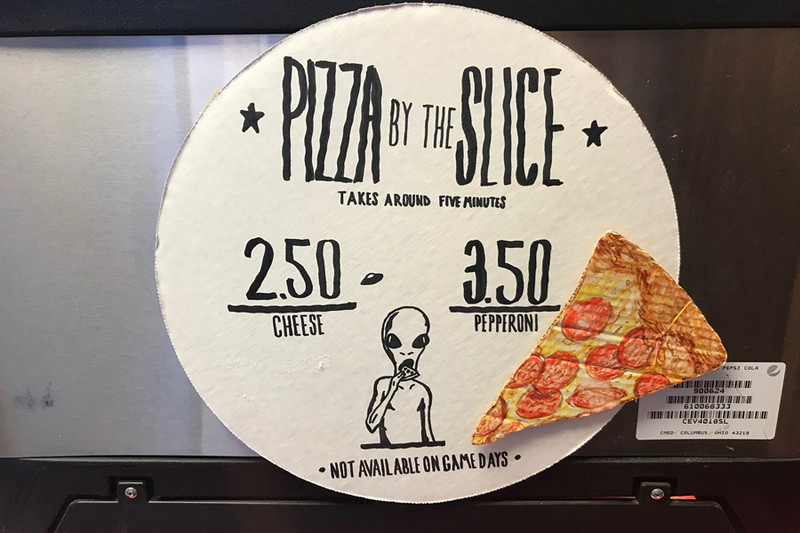 Hand-made sign at Tommy's Pizza, 174 W Lane Ave. Out-of-this-world! May 31, 2017- Late afternoon sun illuminates the interior of the Bier Stube, 1479 N. High St. A campus drinkery since 1966. 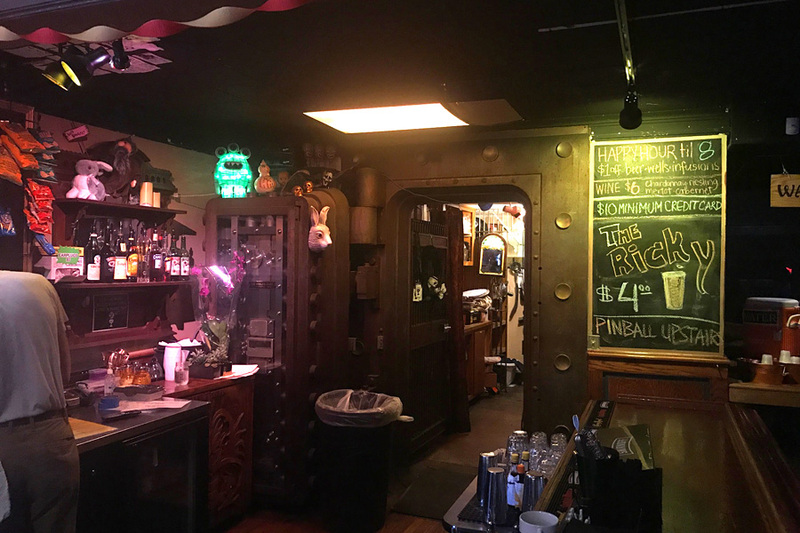 Old bank vault behind the bar at Ace of Cups, 2619 N High. Built in 1926 as Northern Savings Bank.